This list was a bit of a challenge, too. If I liked a book, I probably wouldn’t mind rereading it at some point. But I’m not much of a re-reader these days – too many great new books popping up on my radar – so this theme makes more sense to me as “which books did you like but when pressed for time aren’t your go-to rereads.” I had fun putting together this list! See anything familiar? 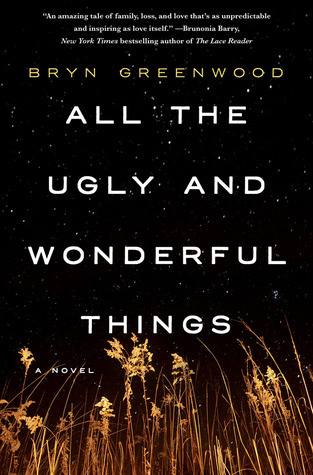 All the Ugly and Wonderful Things is certainly a polarizing book, and I was on the side that found it just as repulsively beautiful as its title suggests. I don’t regret reading it at all, but I don’t know that I would be able to stomach the content another time around. All of the characters are just so well-developed and vulnerable that it’s easy to sympathize with them even if you’re hating yourself for doing so. A breakneck race against time…and an implacable enemy. An anonymous young woman murdered in a run-down hotel, all identifying characteristics dissolved by acid. A father publicly beheaded in the blistering heat of a Saudi Arabian public square. A notorious Syrian biotech expert found eyeless in a Damascus junkyard. Smoldering human remains on a remote mountainside in Afghanistan. A flawless plot to commit an appalling crime against humanity. One path links them all, and only one man can make the journey. Pilgrim. 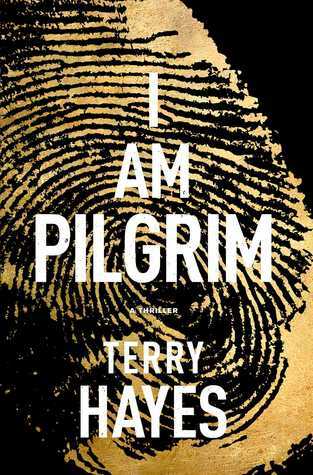 I don’t read much of espionage thrillers anymore (I say as I’m mid-The Flight Attendant, which is definitely starting to give off those vibes), but I thoroughly enjoyed I Am Pilgrim a couple years ago. I definitely felt yanked along for the ride as the main character attempts to unravel a plot against all of humanity. It was a ton of fun to read, but it was so long that I don’t know if I’d make the time to read it all over again – but who knows, I just might if there’s ever a sequel! This is another book that I remember thoroughly enjoying, but it’s just too dang long to warrant a re-read, especially when so many of the major plot points are still clear in my head. Underneath the steps leading down to Eric’s basement is a hidden storage space. It’s dusty and old- nothing special at all. But when Eric, Julie, and Neal all huddle inside the gray room together, something unbelievable happens. A glittering light and then a rainbow-colored staircase appear. And as the kids take their very first step down into the mysterious land of Droon, they know that only magic and adventure await them! This would be the obligatory children’s series that had to make it on this list. I lived for these as a kid and even would spend afternoons in the library when I was older because I couldn’t bring myself to spend money on books that would take half an hour to read but I still had to know what happened. I think I ended up making it about 30 books into the 44-book run, and while I’m still dying to know how the series concluded, there’s no way I would jump back in without doing a refresher of all the previous books … and I just can’t see that happening any time soon. I just finished this one over the weekend and wow was that one crazy and disturbing ride. The subject matter was hard for me to swallow at times, and now knowing the ending and the twists and turns that happen along the way, I don’t think I could ever bring myself to thrust myself back into the psyche of one of the worst sorts of people that humanity has to offer. 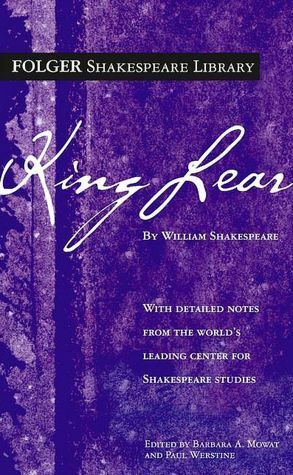 I didn’t appreciate this play the first time around – for an English class, because isn’t that how it goes – but several years ago, I had the opportunity to volunteer at a week-long run of the production. I loved it live and felt like I was understanding it on a whole new level. The only problem is, I think I saw it six times that week thanks to being a volunteer … I don’t know that I’ll need to re-read it any time soon! 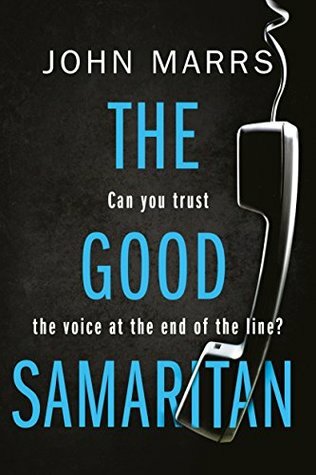 The problem with the most impressively twisty thrillers is that, once you’ve read it a first time, it’ll take a lot to re-render the charm and surprise that came with the initial experience. 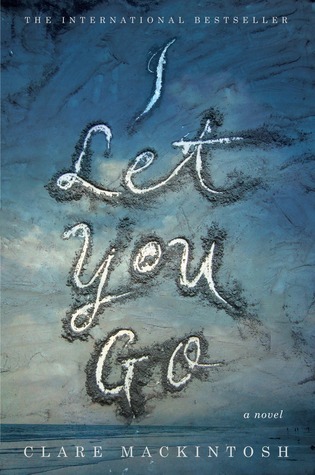 I Let You Go is definitely a case where, as long as I remember what’s coming (and I will – it was shocking enough to imprint on my memory), I don’t think a re-read will hold the same amount of enjoyment. This one I’m torn on. 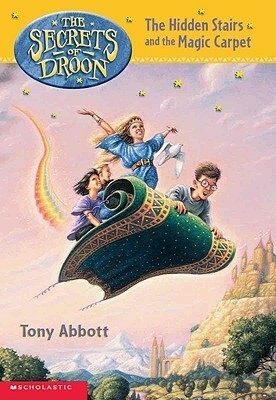 It was an absolute favorite book of my youth, but when I re-read it several years ago I remember having so many issues with it – isn’t that usually the case when you revisit childhood favorites? Except, now, I can’t remember what those issues are (except for the main character and Stanford, I remember that one clearly) and I know I will always love Sarah Dessen’s writing and want to read all her YA fiction novels I haven’t touched yet. So … maybe not give this one a re-read, but I’m not giving up on her books! I promise, there’s a very valid (?) reason for this one. I have this thing about needing to be up-to-date on series before tackling another installment – that means I’ll re-watch full seasons of television or force my way through books I didn’t particularly enjoy just to feel like I have all the background knowledge. 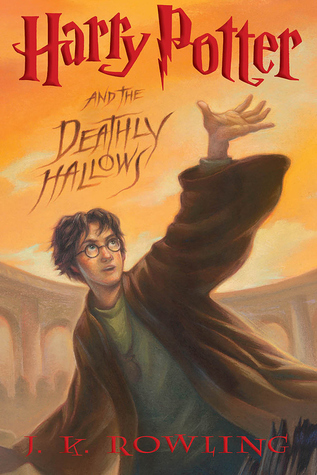 I know I’d enjoy a re-read of the Harry Potter series, but am I ever going to have time to make it through all of them before this last one? Honestly, maybe. But then you have to factor in that I randomly decided to reread them all in Spanish several years ago, and I’ve been stuck in the middle of the first book ever since … so I can guarantee, the next time I re-read The Deathly Hallows, it will be in Spanish, which means it won’t be for a very long time. I had so much fun putting this list together! A couple patterns I noticed were books I didn’t want to re-read because they were so long or because they had twists I’ll never forget so re-reads won’t have the same surprise and charm. Are any of these books on your top ten lists this week or even just books you have read/are on your TBRs? I’m glad I’m not the only one who tried to re-read Harry Potter in Spanish and got stuck! It’s a good way to find out how bad your grasp of Spanish grammar is, that’s for sure. Hah! I’m also glad to hear I’m not alone there – but it’s such good practice, at least 🙂 Putting together this post definitely made me tempted to give it another go! Both of them were eBooks that I read fairly close in time to one another … and boy, did I learn my lesson to check page counts before diving headfirst into e-reads. I don’t regret reading either, but with both I remember pausing midway through and going “I feel like I’ve been reading this for ages”, going to check the page count, and then face-palming a bit, hah. 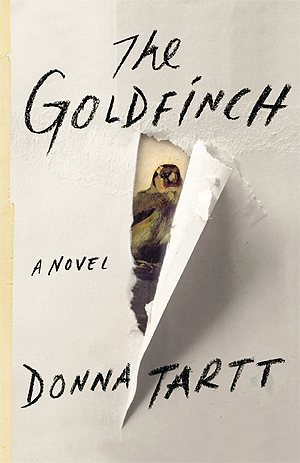 Yup, The Goldfinch was just huge. I didn’t ever pick it up, even though so many people enjoyed it. Great list! It’s just such a fitting book for this week’s topic because of exactly that reason! I’ve thought about trying to read Harry Potter in Spanish (as I’m attempting to learn) but I’ll maybe save it till my Spanish is a little better! It’s such a great way to practice; I totally recommend giving it a shot with a well-loved series. I just kept running out of patience for having to look up words since I was using a physical book. That’s totally fair! I will definitely need to see if I can find a Spanish copy (or audio maybe) to try and learn. I’m glad to hear I’m not the only one who reads like that! It’s definitely more difficult because *so many* good books keep coming out. So I’m super impressed you made it all the way to Deathly Hallows! Hope you can get to it soon!! I don’t re- read a lot either, mainly because of all the new books, but there are a few here and there that I don’t mind revisiting. 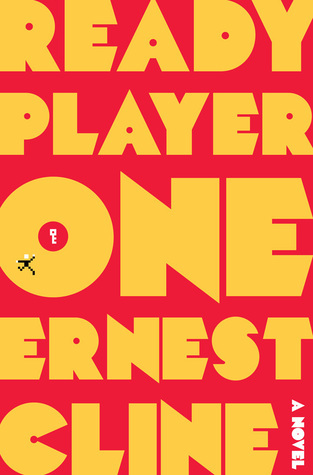 I feel the same way about Ready Player One though, I mostly liked it at the time but yeah for various reasons I wouldn’t go back to it. 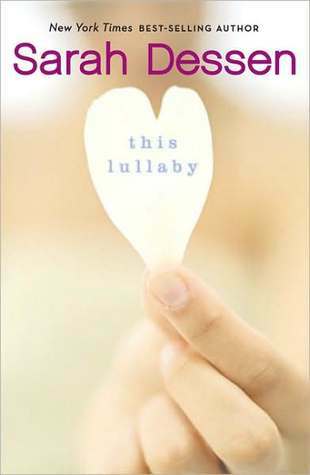 I definitely recommend I Let You Go if you’re a fan of psychological thrillers! It’s certainly my favorite of her books so far 🙂 There are so many books I wish I could go a re-read with a blank slate!